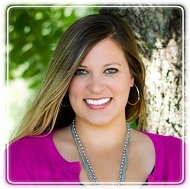 Leavenworth Therapist: Laura Drinkard - Therapist 66048. Relationships can be challenging and confusing. Sometimes they can make you feel crazy. Other times they make you feel stuck, like you want to leave but just can’t. Maybe you still want the relationship, just not the way it is now. I’ve been in all of these scenarios and have overcome them. My goal as a therapist isn’t to throw “book knowledge” and advice at you. It’s not even to “fix” you, because I don’t believe you are broken. My goal as a therapist is to use my own experiences, and the collective experiences of those that have come in my office, to help you understand what is happening in your own life and in your relationships so you can make whatever choice is right for you. I’ll be there every step of the way whether your goal is to make your relationship the strongest it has ever been, or start taking steps toward divorce. I won’t take sides or make one person the problem. I believe that we all want good for our lives and sometimes we have experienced so much pain and suffering that we lose sight of how to get good. Everything I will ask you to do I have done myself. I have faced my fears and continue to every day for my own growth and for the sake of my relationships. Because I have vowed to never choose fear over relationships I get to enjoy freedom, authentic connection and intimacy, my partner and I can be truly vulnerable with one another, and when disagreements arise we communicate in a way where we both feel heard and loved. You can have the same in your relationships, too. Maybe you’re like me and have suffered from spiritual abuse. I was always taught that if I do all of the right things I’ll have God’s blessings. The abuse came when I was doing what was considered to be all of the right things and my life was crumbling right before my eyes. When I was spiraling toward rock bottom I was told I wasn’t enough, that I didn’t have enough faith. This sent me to the darkest place I’ve ever been in my life. I struggled with suicidal thoughts and self harm. How could God, or the people in my life that were supposed to love me unconditionally send me the message over and over again that I wasn’t enough and abandon me in my time of need? I’ve learned a few things since then, and my daughter taught me most of them. You see, our relationships on earth help us understand our relationship with God, and our relationship with Him teaches us how to have relationships with those around us. I have peace now and have a better relationship with God than I ever have before. I love my daughter more than anything and parenting is without a doubt the hardest thing I have ever had to do. Parenting is so hard because it’s a one way street. As parents, we have to do the growing for our kids. We hold everything on our shoulders. This is even harder when you are divorced or are a single parent. I can help you have a peaceful relationship with your kids. My education includes a B.S in Psychology from Washburn University, a M.S. in Marriage and Family Therapy from Friends University in conjunction with Christ First Counseling Center. I have worked in the mental health field for 7 years as well as 6 years in special education.